Zeke visited mom while she was working in North Carolina. 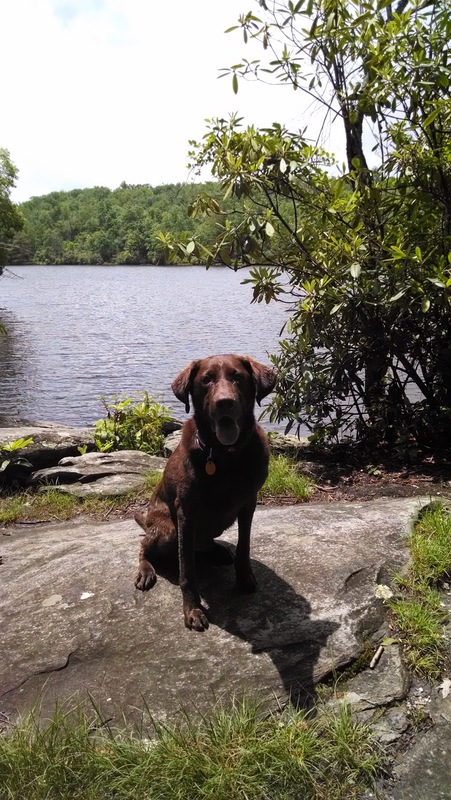 We took a short hike around the Price Lake loop off the Blue Ridge Parkway. Zeke enjoyed the multiple places to jump in for a quick swim.